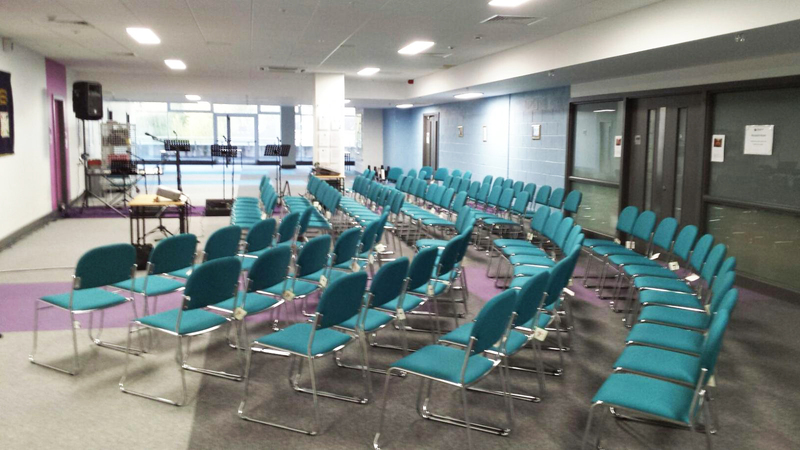 MCC first began in September 2002 when a small group of people started meeting together to pray and study the bible together here in Maynooth. In February 2003, when this group had grown in size to around 18, we began to hold monthly services together in the Post-Primary School on the Moyglare Rd. 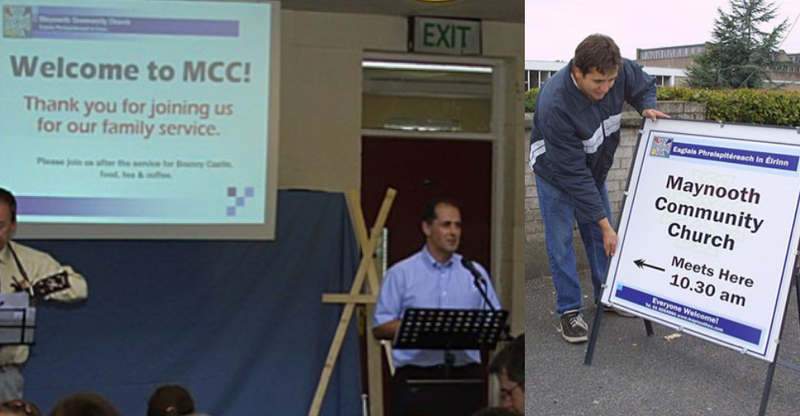 Our first weekly service as Maynooth Community Church was held on Sunday 7th September 2003. During our early stages we were kindly supported by our sister congregation in Lucan and, over the next four years, slowly developed towards the point of being able to stand on our own two feet. On November 25th 2007 we were then formally constituted as a new independent congregation by the Dublin and Munster Presbytery of the Presbyterian Church in Ireland and Rev Dr Keith McCrory (to give him his full and seldom used title!) was installed as our inaugural Minister. Since then our congregation has been steadily developing and we have been amazed again and again at how God chooses to use ordinary people like us in the building of his Kingdom. Quick Question: What does the word “Presbyterian” mean? ‘Presbyterian’ comes from the greek word ‘presbuteros’ which, in the New Testament, is the word that is used for ‘elder’. It points to the fact that our churches are lead not by a single person but by a group of people who are elected by the congregation and then ordained by our wider church. The Presbyterian Church in Ireland is a network of some 560 such churches around the island.